Since our last race, the primary focus of my training has been on increasing my running endurance. I have focused on both increasing my 5K speed as well as increasing my distance in advance of my first 10K, which is only two short weeks away. 1. Properly fuel my body with a filling breakfast, allowing my body enough digestion time. This means I have to get up earlier than I did for the Semper Fi 5K. 3. No matter what my finish time is, own it, and don’t be disappointed. Neither Preston nor I have run this race before, so the only picture we have about this course is the course map on the race website. All we know for certain is that its being advertised as a “relatively flat and fast course.” We’ll see if this description is accurate! 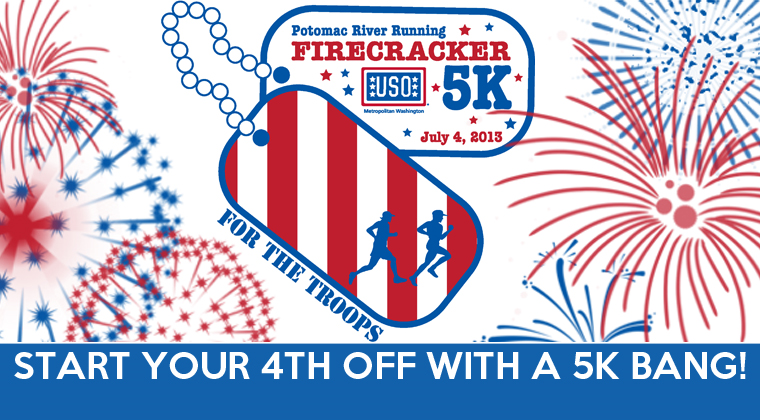 This entry was posted in Races, Training and tagged 5K, Charity Miles, Firecracker 5K, goal, goal setting, injury recovery, positive thinking, sprained ankle, Team Red White and Blue, training, USO, Wounded Warrior Project. Bookmark the permalink. These seem like great goals! I’m running my first race (a firecracker 4K) on Thursday and #1 is something I definitely need to keep in mind. Good luck tomorrow! I know you’ll do great! Thanks Kristen! Race recap is in the works – hopefully it’ll be done in the next day or so!